Prince William may be heir to the throne but that doesn’t mean his kids are any less likely to disobey him! And as anyone with kids will know… it happens all the freakin’ time! As most parents will attest your kids are both the light and the absolute bane of your existence. And that’s no less true for William and Kate! Though the royal couple may have immeasurable fame and fortune they’re just as besotted/exasperated with their babies as we are. So let’s countdown some of the most memorable times Their Royal Littleness’ showed Kate and William that, though they were further from the throne, they were certainly the ones in charge! 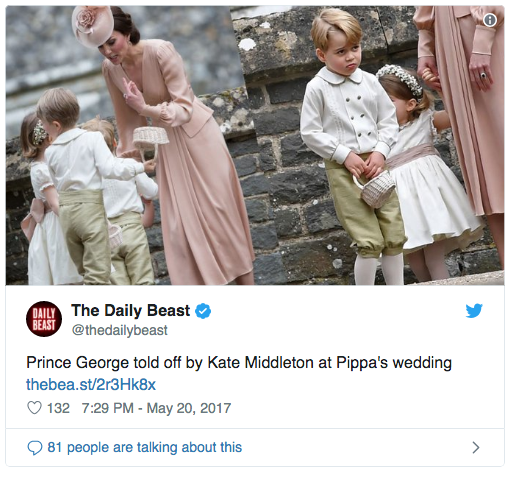 Little George is not forgiving Kate for telling him to behave. Look at that little bottom lip! It’s all a-quiver with righteous pride. 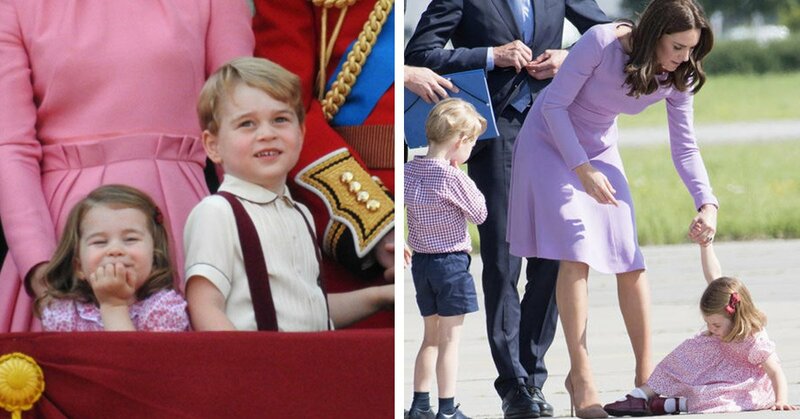 Mom may have told George off but he’s still assured that one day he will be King, and he will make messing about at weddings mandatory. Kate has a way of making even the smallest tasks seems graceful and regal. 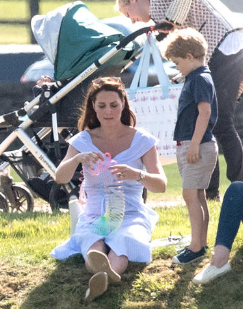 She’s untangling a Slinky like no future-queen ever has.